I have been asked a fair bit recently about the American hot wings that I know and love. Although I have traveled around the world it is these fiery, crispy yet juicy bites of hot chicken wings come out above the rest. It is something about the hot, hot sauce, fatty but crispy skin and the cooling blue cheese sauce, which makes it luxurious and yet and intense eat. Really, really good. In fact you cannot get better. There are two types of the blue cheese sauce that I have ended up making depending on the crowd I am cooking for- the full fat and low fat version. The full fat is the one though make no mistake because the sour cream gives it the refreshing coolness that works so well with the hot wings. If you are using wings you need to cut off the tips at the lower knuckle. This isn’t too tasty, takes up room on the BBQ and takes up the heat. Now sprinkle each of the dry spices over the chicken one at a time before throwing the chicken in the plastic bag (see picture) and tossing around. Work the powders into the meat, so you get an even coating. Now add the lemon juice to make it slightly wet. and for the toned down version…. 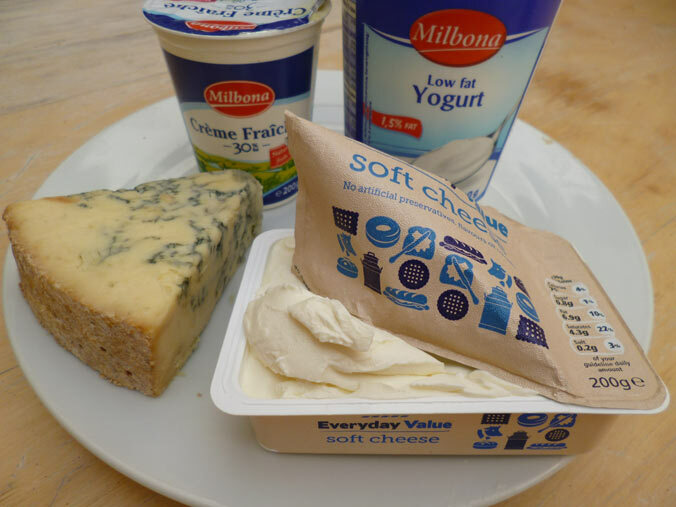 blue cheese sauce ingredients. The tame version. 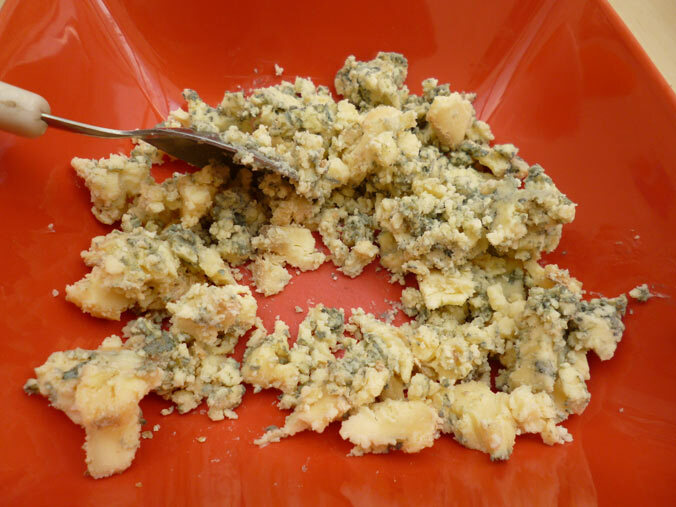 Literally chop up the blue cheese and bung all the ingredients in a bowl. Don’t be precious. With a fork (or spoon if you are lazy) whisk up and break the blue cheese down further, so you have visible chunks the cheese is well mixed in. The bowl of blue cheese. Some way to go… make the chunks half the size. This is best done first so you can leave it on the side out of the fridge to infuse. 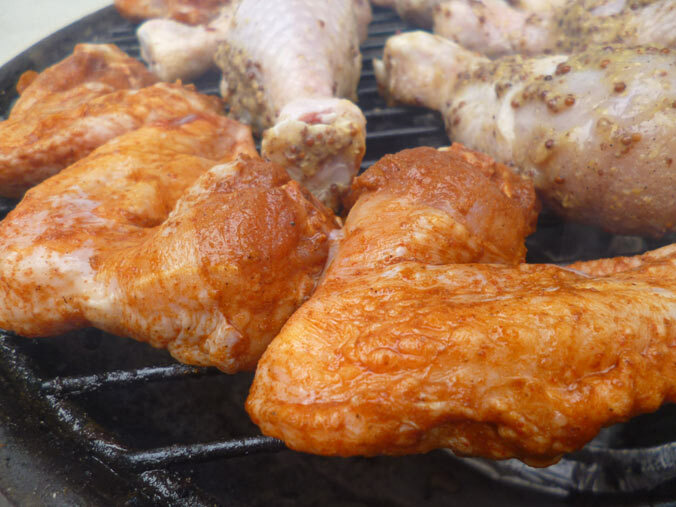 Pop the wings on a medium heat BBQ. You can tell the temperature is right by holding your hand 10cm over the grill and if you can hold it there for between 10- 12 seconds or there abouts without becoming unbearable then that is fine. Too often chicken is cooked on a raging inferno. The result? Black outside, pink middle. Look at the colour of the wings on the grill though- perfect. 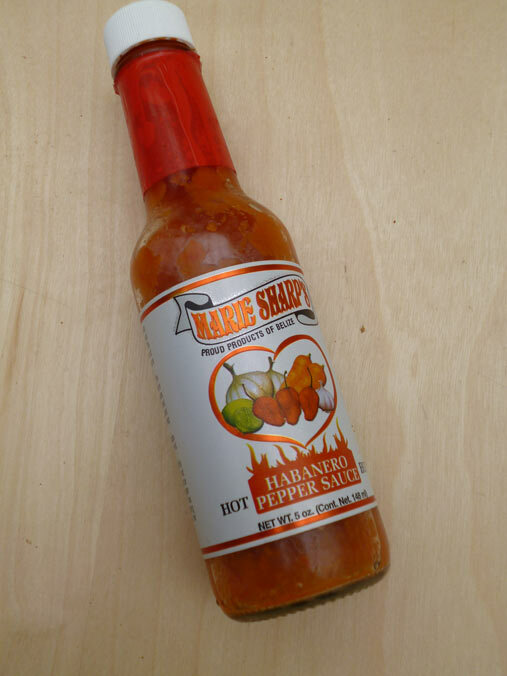 Right now comes the controversial bit- the hot sauce itself. People ask me whether you can use any hot sauce and whether they are all made equally. The truth is no. At the end of the day you can use variations on things that taste similar. Yet for the real deal you need the real ingredients. The hot sauce is below from Belize, brought back by our good friends Dan and Alexa. This is really, really good hot sauce and is made with carrot to give some sweetness as well as other ingredients that give it a great flavour. it works on hot wings, but is not quite the same. It is too smooth and almost tasty. You need a hot sauce that is made from cayenne pepper. 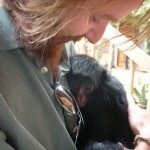 This is more bitey, more aggressive and, well, hot! 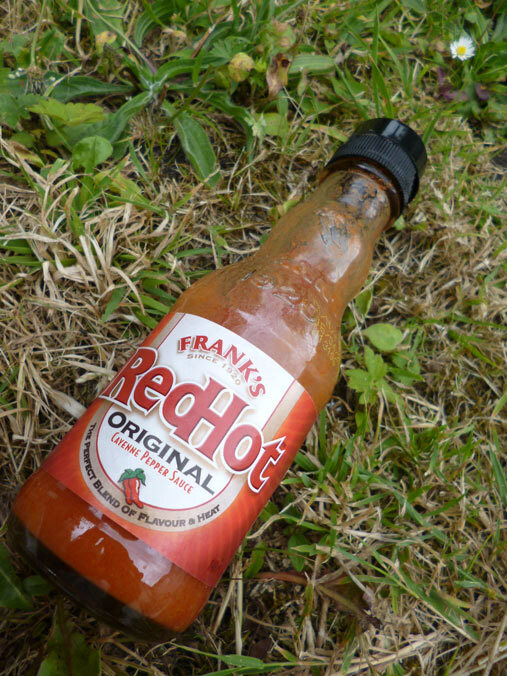 Frank’s is ideal as this is the original and gives the most authentic taste. It is American hot sauce for American hot wings. Now the debate has subsided your dry ingredients should have cooked onto the chicken and with regular turning have become golden brown, crispy with visible air bubbles under the skin. 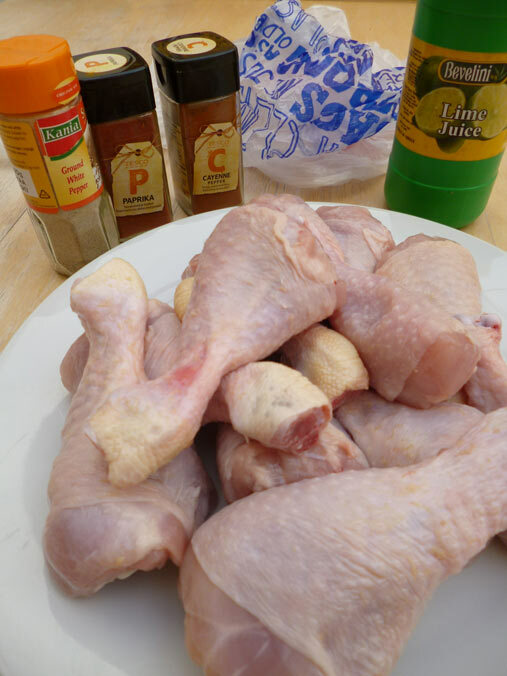 Now add around 4 drops on each side and use the turning implements to rub the sauce over one side of the wings 5 minnutes before the chicken is cooked. 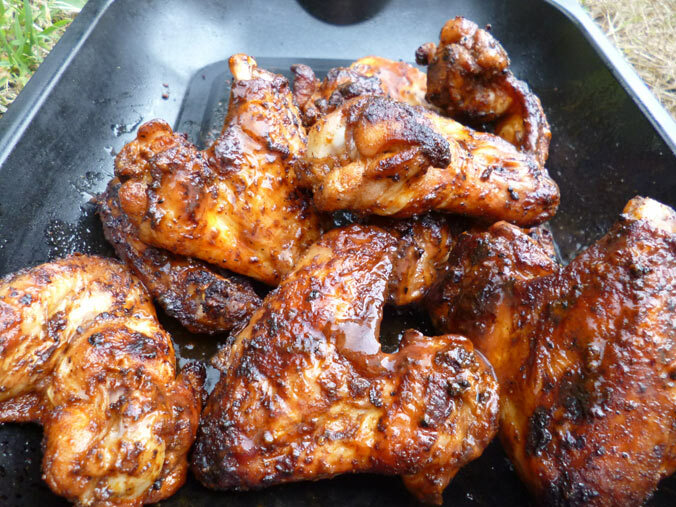 Right at the last minute really, as you want this sauce to be on the wings wet when serving. Turn and repeat on the other side before moving to the edge of the BBQ to rest for around 5 minutes. 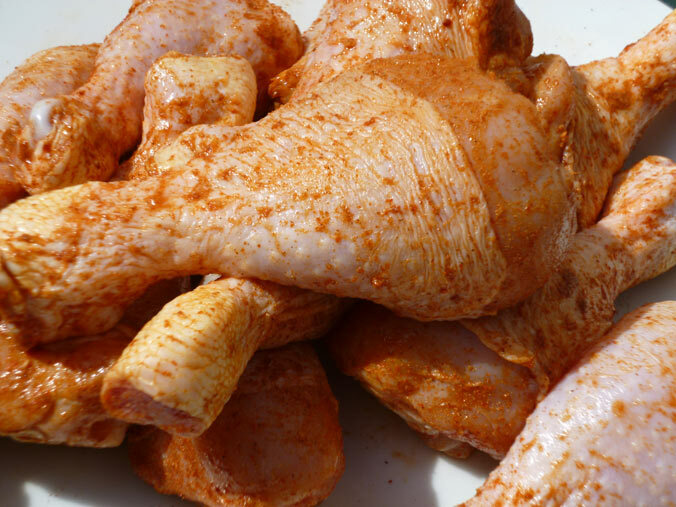 Now tranfer the chicken to a tray and toss in the tray with around 40ml of hot sauce so they are evenly covered. Beautiful tasty fiery chicken. Great colour glistening with hot sauce- as it should be. 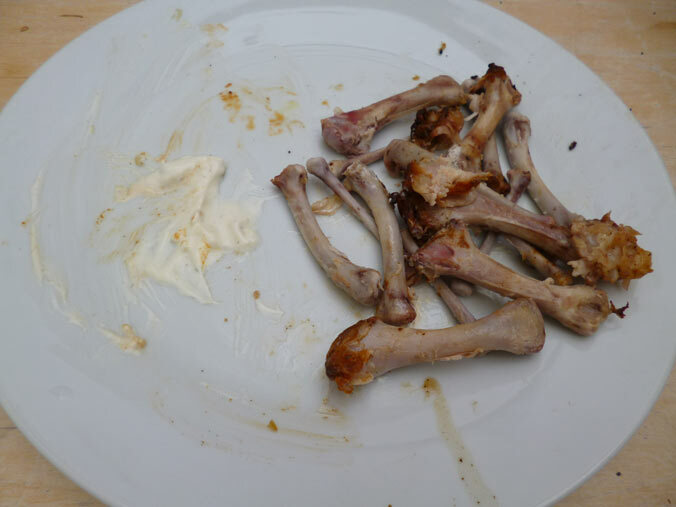 and there you have it, another empty plate of American hot wings and my brother moaning he has eaten too many…. To serve this is great with chunks of celery to give you a cooling break every now and again!